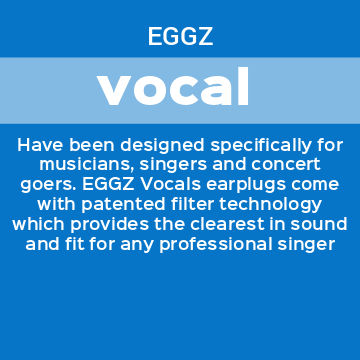 EGGZ Pro is considerably cheaper than the price of custom molded earplugs and provides as good if not better in sound clarity. 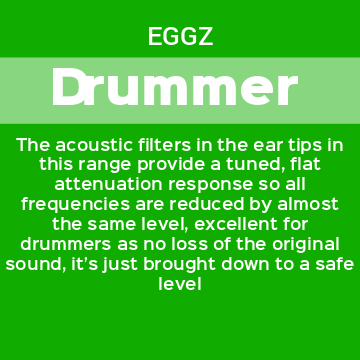 Our patented technology is a game changer and contains the same type of acoustic filters that are used by many custom earmoulds. Having been a professional musician for forty years, my ears have taken a beating one way or another. 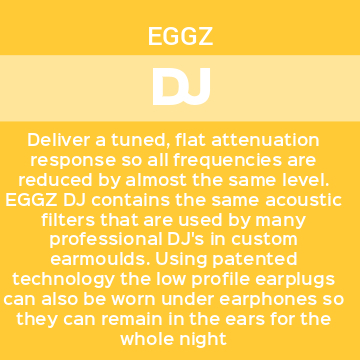 I have used ear plugs on and off for the last ten years, but EGGZ are without doubt the most comfortable. They work really well at cutting the peaks while leaving the the main audio information intact, and allow you to hear whats going on around you on stage. Finally found earplugs that fit! 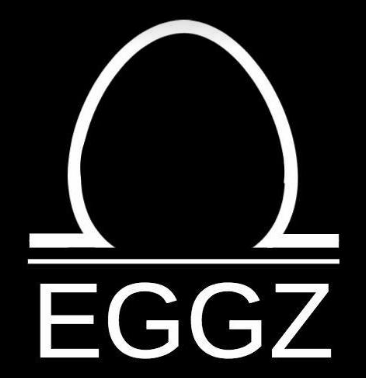 Extremely good for DJ gigs! These earplugs stop the ringing after a long night At a gig and would totally recommend them!